At J Davidson Scrap, each year, we recycle over 40,000 tonnes of scrap metal – that’s a lot of scrap, and it ranges from food containers to household appliances, steel beams and even the scrap cars Manchester’s motorists need to get rid of. The important thing about all of these different materials is that by recycling, they do not go to landfill, and that’s 40,000 tonnes of metal each year that’s not simply being buried along with all our other household and industrial waste. But you’re probably already aware of the impact recycling can have on landfill sites, and it might seem like a local issue with little relevance to the outside world – however, there are much wider ways in which the scrap metal Manchester residents dispose of can have an impact elsewhere on the planet. If you think about it, recycling metals means there’s not just 40,000 tonnes less going to landfill; there’s also 40,000 tonnes of potentially useful raw materials that don’t need to be mined out of the ground. This helps to preserve stocks of iron ore for future steel production, or of nickel for use in stainless steel – and in some cases it can even take less energy to reprocess used metals into fresh materials than it would take to produce those same materials from scratch using their ores. 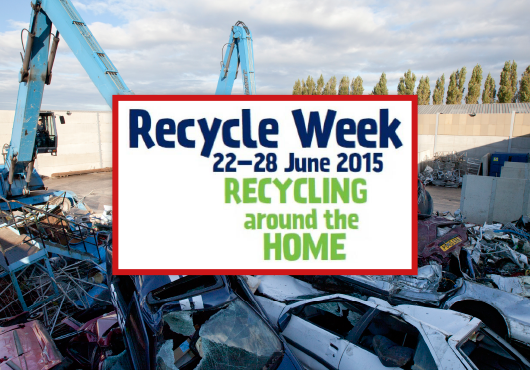 Last week was Recycle Week 2015, and there’s really no better time to make a new commitment to maximising your own recycling rate, whether you are a domestic householder or work in an industrial setting with huge quantities of scrap metal produced. Even in the home, scrap metal can arise from a variety of sources, including old coat hangers, food tins and paint cans, and larger items like old cookers, ironing boards, and of course your car if it gives up the ghost. The scrap cars Manchester motorists dispose of need special treatment, and we are proud of our end-of-life process for stripping them down, recycling what we can, and handling all of the paperwork too. We remove any hazardous materials from the car, like hydraulic fluids, batteries and the tyres, and only then do we recycle the metal without those other contaminants getting in the way. As an Authorised Treatment Facility, we can also deal directly with the DVLA to process the paperwork, and issue you with a certificate to prove that your vehicle is no longer on the road – so we not only make it easier to recycle, but can take the stress out of scrapping your old car too.